Complete Solid Works build of project. CNC sheet metal fabrication in various metals including stainless steel, aluminium, steel & copper. We can also supply sheets/lengths of various metals. Complete vehicle conversions including emergency lighting, wiring, fit out of solar panels, switch panels and tracking systems. 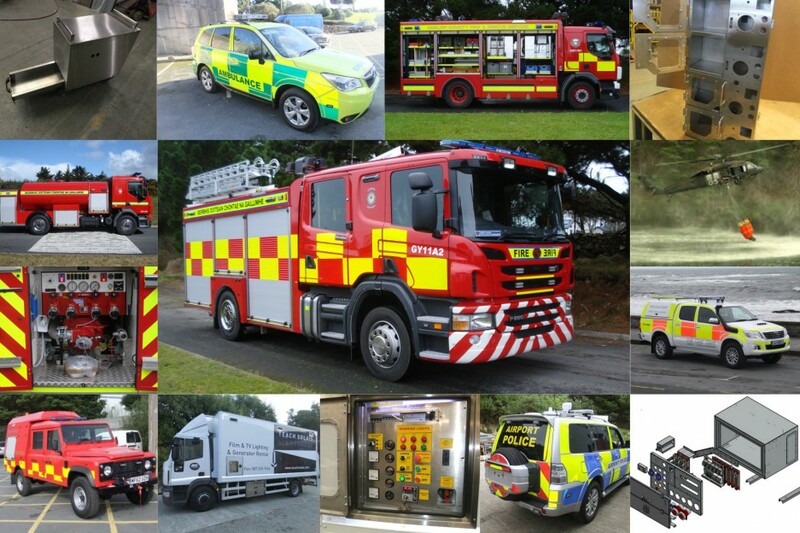 Pumps, Winches, Ladders, Bambi Buckets, Fire Fighting Equipment, Emergency Vehicles, Rapid Response Vehicle Conversions. Pumps, Winches, Ladders, Mechanical Systems on Specialist Vehicles. For further information, here is our contact information.